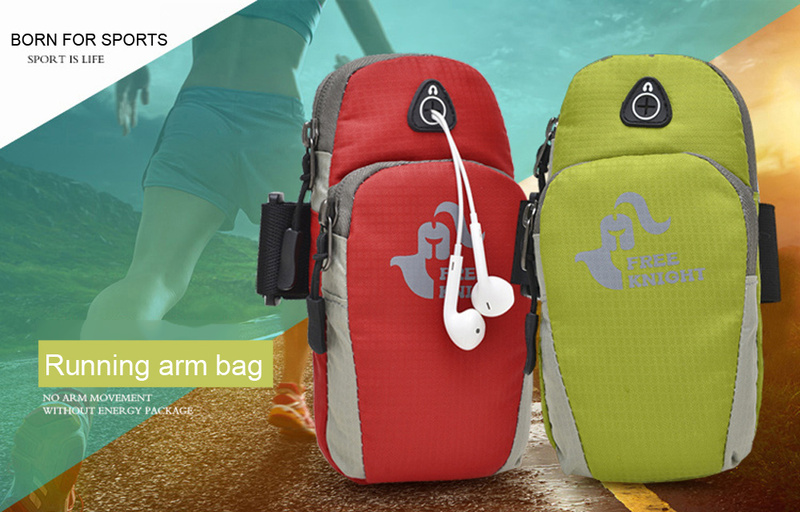 Running Arm Bag. 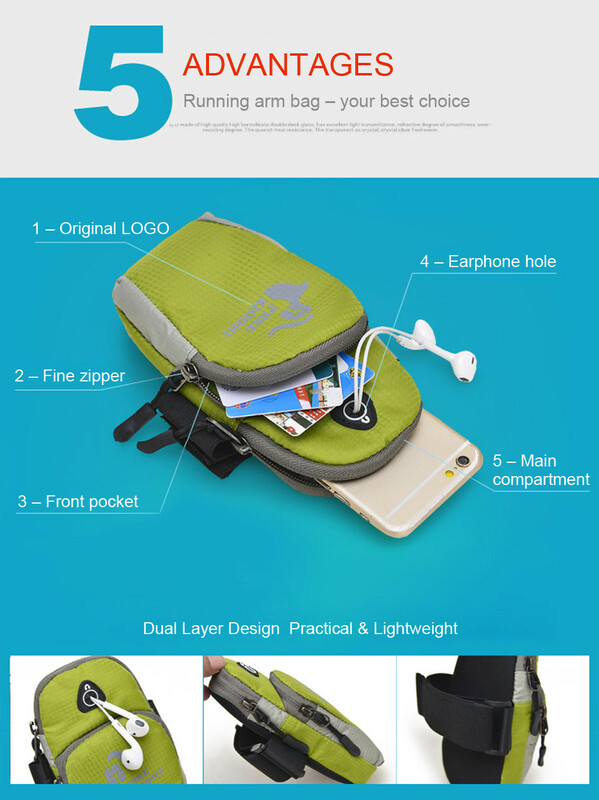 Pouch Jogging Gym Armband Bag Case Workout Gym Wrist Bag Outdoor Cellphone Pack Running Accessories. 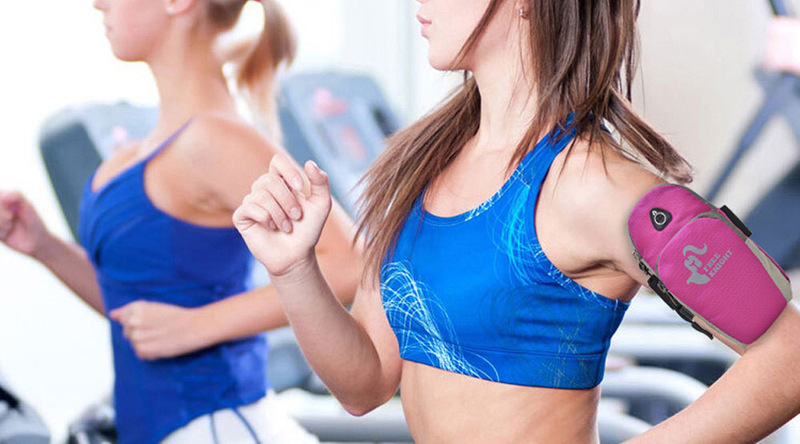 - High-quality nylon material, good durability and water resistance. 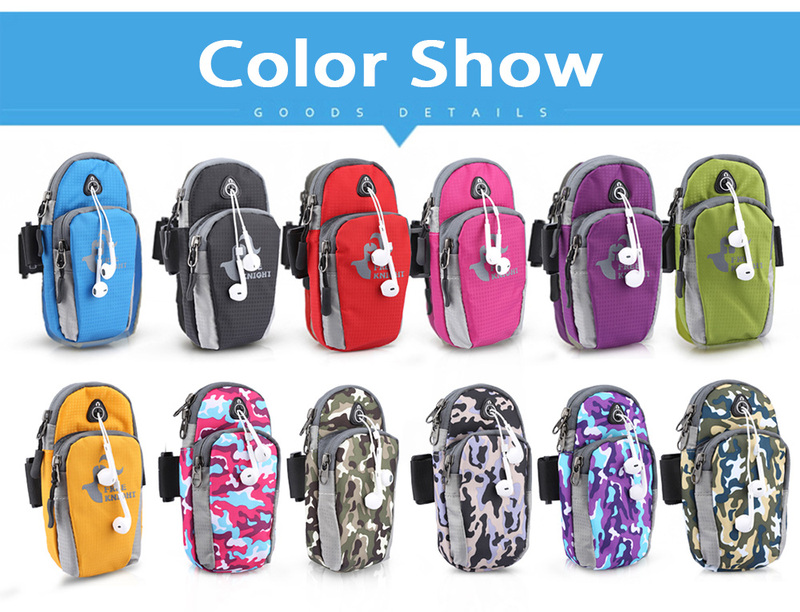 - A hole on top of the bag for earphone line, you can enjoy music freely without line tangle. - Bright color, not easy to fade, smooth surface, abrasive resistance. 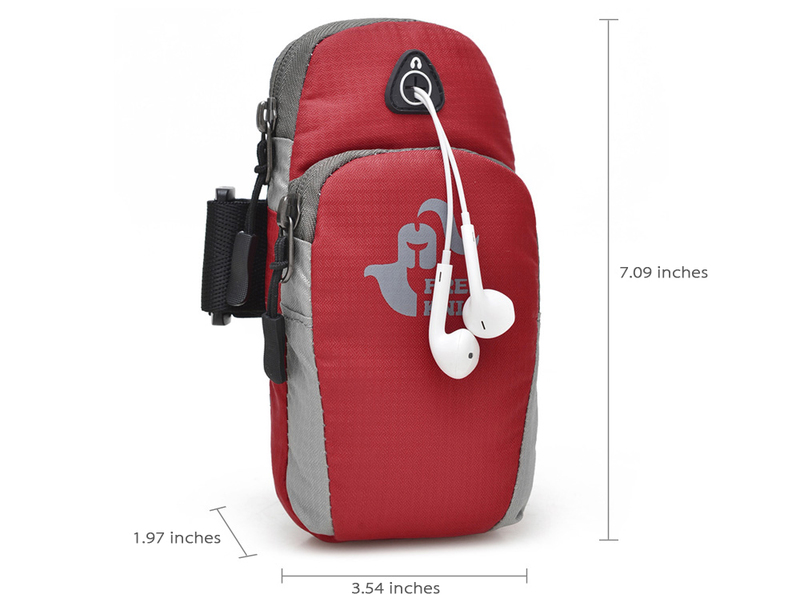 - Dual layer design, allows you to accommodate your cell phone, cigarette, cash, keys, wallet, MP3, etc. - Flexible and lightweight, providing full protection to your phones within 6 inches. - Elastic strap, arm circumference less than 40cm / 15.75 inches. 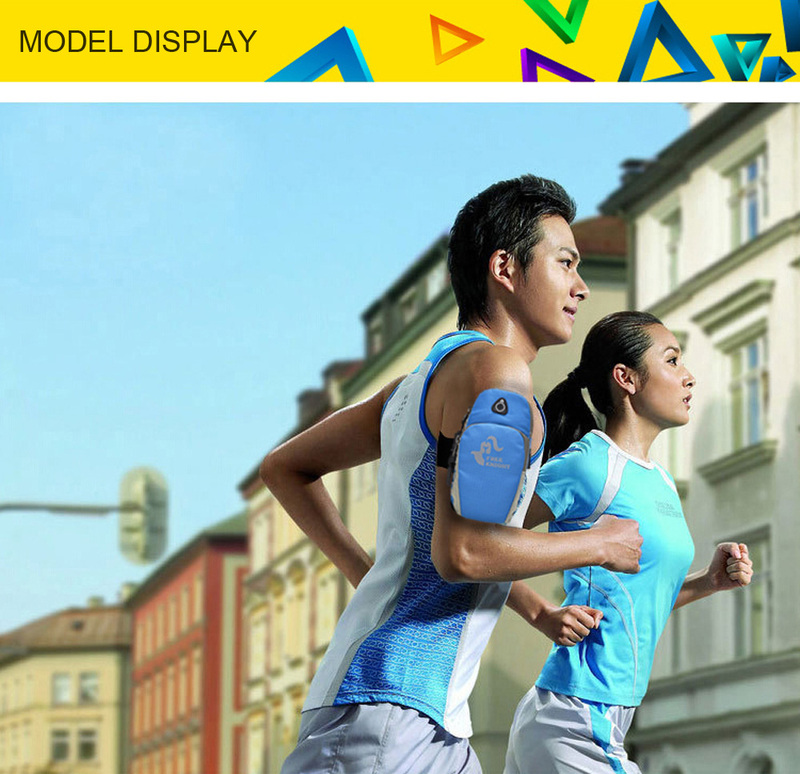 - Suitable for running, hiking, cycling, jogging, fitness, applicable in all outdoor sports.